Back to the beginning, that is, the 2009 season: the Lampre-Farnese Vini team rides Wilier Triestina bikes. ISD, the large Ukranian metallurgical company sponsored team, rides Cipollini bikes. A week ago it was announced that ISD would become a partner of Lampre and the team would be named Lampre-ISD beginning next season. Lampre has now announced that they have renewed their contract with Wilier for another three years. The Lampre - Wilier relationship began in 2003. Under the agreement Wilier will supply Lampre-ISD with a yearly supply of 150 bikes and of "all the necessary technical material". In 2011 Team Lampre-ISD will use the Cento1 SL (of which Petacchi rides a specially modified one). 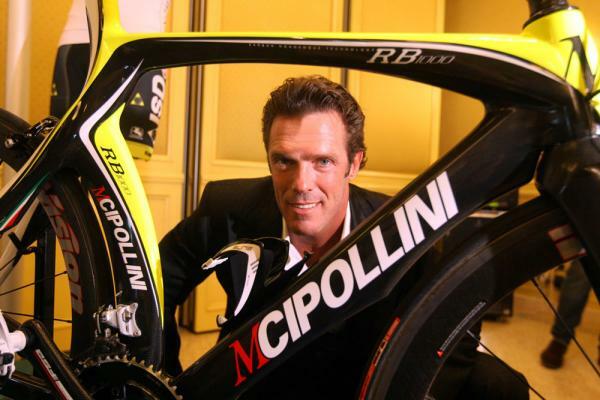 Mario Cipollini will become one of the primary sponsors of what was the ISD team under the name "MCipollini". The team is searching for another major sponsor at which time it will be decided if "MCipollini" will be the primary or secondary sponsor. Who knows what "Wilier" stands for? 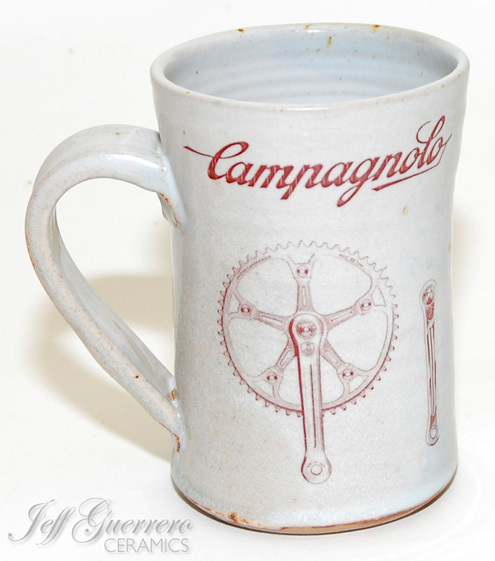 Jeff Guerrero Ceramics, Pittsburgh, PA, creates some ceramics products based on Campagnolo, and cycling subjects. Laurent Fignon lost his battle with cancer today, French television has announced. 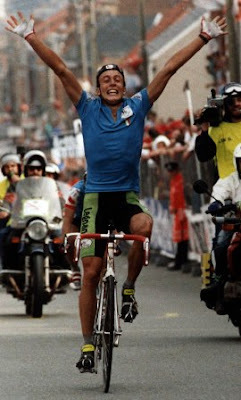 Fignon was 50 years old. He won the Tour de France twice, in 1983 and 1984; he missed winning it a third time, in 1989, by 8 seconds to Greg LeMond, the closest margin ever to decide the tour. In 1983 Fignon, at 22, was the youngest man to win the Tour since 1933. He also won the Giro d'Italia in 1989, having been runner-up in 1984, and the Milan – San Remo Classic two times. 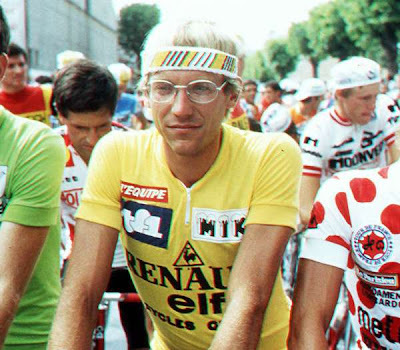 With his round glasses, ponytail and an air of debonnaire Fignon was nicknamed "The Professor". 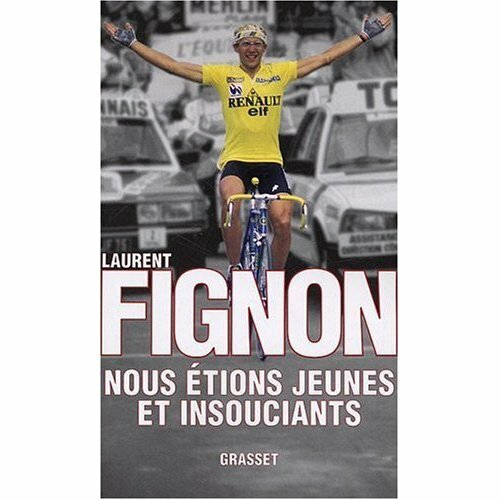 Fignon wrote a book on his life "Nous étions jeunes et insouciants" (We Were Young and Carefree) released in June 2009. The book is also available in English. Six videos posted on the Le Parisien's website appear here. Carrera: April Fools in September?! CICLISMO magazine is reporting that that Carrera will be announcing the availability of a hidden motor equipped Carrera "Phibra" at Friedrikcshafen. 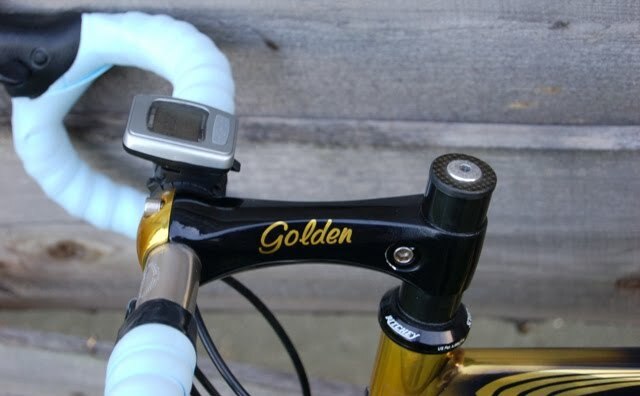 The bike is said to be equipped with the motor in the seat tube, and powered by a battery in a false water bottle. A rider would have a choice of selecting 200 watts for 45-50 mintes or 300 watts for 15 minutes. Perhaps Carrera is having some fun based on the previous stories that have emerged about motorized bikes (see The Doped Bicycle). Let's hope so! I certainly don't need riding partners with motors in their bikes. At this year’s Eurobike 3T is celebrating its 50th year in the bike business and does that with style. The company is launching here its pinnacle in carbon components; the new crankset, dubbed META which, according to 3T, "is a radical re-think of this most fundamental component." The new META crankset, "Overturns conventional engineering concepts, is benchmarked against the best, and offers significant build advantages for amateurs and original equipment manufacturers." Whether 3T’s new carbon crankset can do all that remains of course to be seen. However, striking is the fact that META even offers an axle made out of carbon fiber. 3T CEO René Wiertz says about META: “It’s potentially 30% lighter than today’s benchmark cranksets – yet equals them in stiffness.” The pre-production META crankset weight stands at only 550 grams. 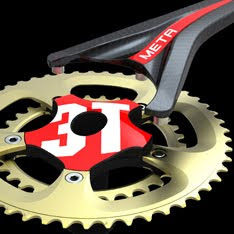 The company also announced that it is changing its name from new3T to 3T Cycling. 3T located in Madone, near Milano, was originally known as 3TTT — Tecnologia del Tubo Torinese (Turin Tube Technology). The firm was founded by Mario Dedioniggi in Torino in 1961. Dedioniggi was skilled at manipulating and bending steel tubes to fabricate the lightweight handlebars desired by racing cyclists, and Italian professional riders were among 3T’s first customers. The company became new3T in 2007 and switched production to carbon-fiber composite materials, and in 2008 it returned to pro cycling after several years' absence. For the 2008 season it sponsored the CSC team, which won the Tour de France. Pistard was born in Milan in July from the wish to create a high-quality collection of technical cyclewear with a unique Italian look, offering comfort and protection using the latest fabric technologies. 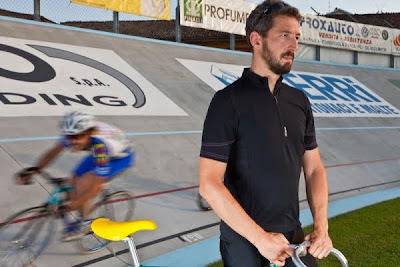 The Pistard collection offers products for performance and urban cycling. 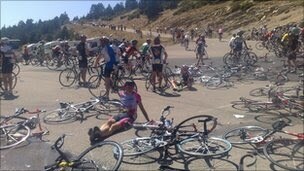 I recommend you take a look at www.pistard.cc; as is said, a picture is worth a thousand words. The name “pistard” evokes the elegance, beauty, and simplicity of track cyclists competing in velodromes. Short sleeve cycling jersey with features such as grip tape inside the waist to keep it close to the body, technical mesh on the back, five pockets on the back for accessories and food (one of them with waterproof zip to protect your phone or ipod). Also, reflector inserts at back and a covered zipper. The "Giro" limited edition bike pants. 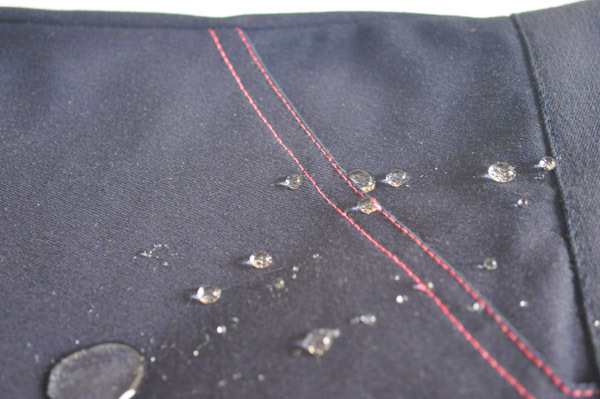 These Pistard pants can be worn every day, with or without your bike. The pants use fabric that repels water and stains and with the No Cranck Fastening System ® on the right leg you can to avoid any problem between the chain and the crank. And, of course, pink stitching. The Prosecco Cycling Classic (a granfondo) is scheduled for October 3rd, 2010, beginning and finishing in Piazza Marconi, in Valdobbiadene (Treviso). Valdobbiadene is in the heart of the Prosecco wine making region. 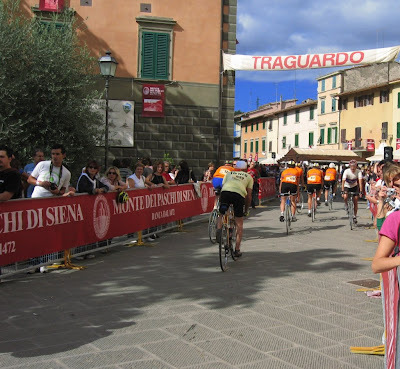 The event offers two courses, the long-distance (125 km) and the medium-distance (65 km). Valdobbiadene , — Italy - Can we have a serious discussion about prosecco? I know, I know. You don't take prosecco seriously. It's just something light and bubbly to pop open and sip on a warm, sunny afternoon. It's a summer fling, a harmless flirtation. It's definitely not all status-y like that uptight thang, Champagne. But maybe the prosecco we've been enjoying in this country has been a little ... well, too cheap? Maybe it isn't even real Italian prosecco at all - they've been making "prosecco" in places like Australia and Brazil. "There's a lot of bad prosecco out there," says Ceri Smith of Biondivino, which has one of the Bay Area's largest prosecco selections. We probably reached the nadir two years ago when Paris Hilton went on David Letterman to promote a prosecco (from Austria) in a can. "Italian champagne. In a can?" asked Letterman, who shook up prosecco-in-the-can to see if it would explode. It did. Hilton got the attention of people who take prosecco very seriously: those in the region of the Veneto flanked by the towns of Valdobbiadene and Conegliano, the historic heart of prosecco, who realized they needed to combat the flood of poor-quality prosecco. "I really thank Paris Hilton," said Matteo Bisol, the third generation making Bisol prosecco. "That was when everyone here realized we had a problem. Without Paris Hilton, we wouldn't have a DOCG." Last August, Conegliano-Valdobbiadene was bestowed with the prestigious Denominazione di Origine Controllata e Garantita, Italy's highest wine quality designation, with strict controls, particularly on grape yields. Can't get any more serious than that, can it? The change also officially renames the grape itself from prosecco to its ancient name of glera - effectively making "Prosecco" a place name and not a varietal. Since the changes created a larger designation, or DOC, in nine surrounding provinces, prosecco, by EU law, can now only come from northeastern Italy. Time will tell if American consumers will be able to ask for that tongue-twister - Congeliano Valdobbiadene DOCG Prosecco Superiore - in their local wine shop. Even growers are still getting used to the new nomenclature. "My grandfather never called it glera," said Franco Adami, president of the Conegliano Valdobbiadene producer consortium, with a chuckle. "But you have people all over the world who want to plant 'prosecco,' so we have to protect it." It is amazing how many tiny vineyards throughout the region are planted on incredibly steep slopes in the Alps foothills. But more astonishing is just how much consistently better the DOCG proseccos are compared to most of what can be found in the United States. You'll end up spending about $3 to $5 more for a bottle from Conegliano Valdobbiadene, but you'll usually notice an immediate difference - crisper, less cloying flavors and more elegant aromas. This, of course, may be a difficult story to tell an audience that has grown accustomed to paying $11.99 a bottle for what they consider a fun wine. "I would hate to see prosecco price itself out of the market," said Smith, noting that $25 is probably its price ceiling. "When I speak with winemakers in other parts of the world, they say, 'Ah, it's not a complex wine. It's a simple wine.' But this is not true at all," said Stefano Gava, the 28-year-old winemaker at Villa Sandi. "This is not a forgiving grape like Chardonnay. Making glera, making sparkling wine, is difficult. This is not a full-bodied grape. It's so delicate. If you make one mistake, you have a big problem." One major reason the wine world looks down upon prosecco is that, unlike Champagne, prosecco uses the Charmat method to make it bubbly; secondary fermentation takes place in a stainless steel autoclave rather than in the bottle. Yet a number of producers, such as Bisol and Bellenda, are experimenting with "metodo classico" prosecco. "One method is not better than the other," says Umberto Cosmo of Bellenda. "The Charmat gives you the beautiful primary fruit aromas. The classic method gives you the soul of the grape." A number of producers are also experimenting with extended contact between grape skins and juice, something that they believe will allow the wines to age more successfully. This runs counter to the perception that prosecco is something to drink young. "People say you have to drink it within a year or two, but it's not true," said Matteo Bisol. Indeed, I tasted some 1990 and 2000 vintages at Nino Franco. As fine prosecco ages, it takes on an attractive amber color and develops a Sauternes-like nose - yet there's still a little hint of effervescence left. Prosecco production is still a relatively young phenomenon. Even until the mid-20th century, most glera was grown as a table wine, with sparkling wines only gaining popularity in the 1960s and 1970s. The original DOC dates only to 1969. All the experimentation could mean the best prosecco expressions are still to come, on a small scale. NOTE: The full-length film Pegoretti film will be screened ALL DAY, ONLY on FRIDAY 27 AUGUST ON THE RAPHA SITE, ONLY 24 hours. Rapha and RSA Films (Ridley Scott Associates Films) are presenting three short films inspired by the people, places and stories of road racing. Johan Museeuw, Sean Kelly and Dario Pegoretti are celebrated in three cinematic portraits exploring the passion, history and drama of the sport. Each film brings a new translation: The intense dreamscape of Nick Livesey's ode to Johan Museeuw, Adrian Moat's tale of discovery inspired by Sean Kelly and Ben Ingham's intimate view of Dario Pegoretti in his workshop, all powerful representations of three distinct icons of road racing. You can view the trailer for the Pegoretti film, "D'Acciaio (Of Steel)", here. "Passion is something that can’t be produced, can’t be invented. Real passion is something that comes from within." 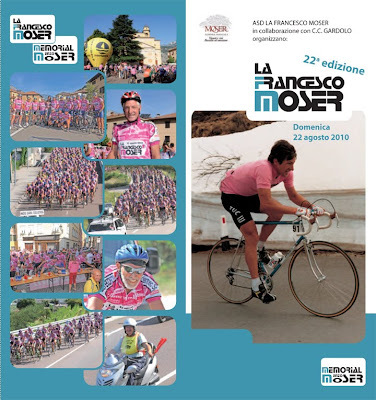 Francesco Moser organizes a non-competitive (cicloturistica) ride in August of approximately 73 km through the Valle dell'Adige near Trento every year. The event was held the 22nd of August this year. 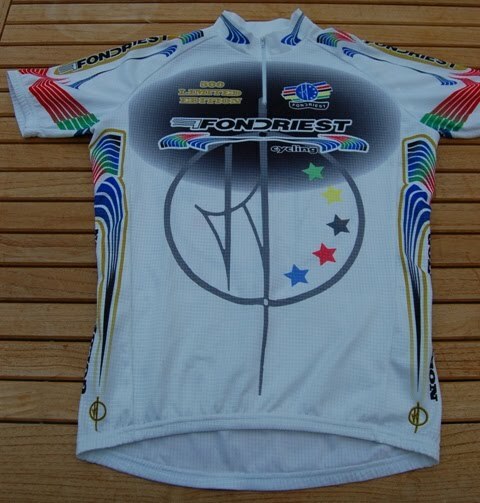 Moser rides in the event, everyone wears the event jersey and has an enjoyable time. MILAN, Italy – 2009 was a fantastic year for the Italian bicycle industry despite, or even because of the economic crisis. The economy was in depression but unexpectedly, the government offered badly needed help to the bicycle industry in form of incentives to spur bike sales at consumers. It was a first for the European cycling industry and was followed by a smaller program in the third quarter of 2009. The incentives had incredible success. Domestic bicycle consumption jumped by 7.1% to 1.93 million. Bicycle production increased to some 2.59 million units (an increase of 8.6%) from 2.38 million in 2008 even with Italian bicycle exports down to only 1.28 million (a decrease of 17.3%) due to the worldwide economic crisis. The average value of exported bicycles rose: € 92.58 per bicycle from € 80.71 in 2008. According to statistics from ANCMA (Associazione Nazionale Ciclo Motociclo Accessori, the National Association for the Bicycle and Motorcycle Industry), 2009 imports of bicycles dropped to 0.63 million, a substantial decrease (10.9%). The median value of imported bicycle rose to € 126.08 (from € 111.54) confirming a trend to higher value bicycles in Italy. In Italy the economic crisis was in full swing at the beginning of 2009 and the bicycle industry had been suffering since the last quarter of 2008. Fortunately the ANCMA’s efforts to convince the Italian government to support the bicycle industry paid dividends. For the first time (in both Italy and in Europe) a government gave direct incentives to consumers when purchasing new bicycles. The Ministry for the Environment incentive program had a budget of € 8.75 million to stimulate purchases of bicycles, small scooters, and e-Bikes/pedelecs. The program started on 22nd April 2009 and from the very first day a huge number of people seized the opportunity. Although the government’s computers did not work properly the number of requests was so great that 99.5% of the budget was directed toward the purchase of 40,270 bicycles within 4 weeks. “No one expected such a positive reaction and the computer lines were not designed for such a storm of requests” said Pietro Nigrelli, the man responsible for the bicycle department at ANCMA. Due to the fact that many applicants were rejected because of technical reasons, the government released an additional budget of € 2.46 million. In total 46,570 bicycles were purchased with these incentives. The second scheme of incentives ran in September and was amended according to the previous experience – in terms of the computer system used and in limiting the budget available for the different groups, to avoid the bicycle requests overrunning those for small scooters with eco-friendly engines, as happened with the first scheme. The governmental budget for bicycles was limited this time to € 7.44 million and to € 200 for each consumer’s bicycle purchase. The second scheme although late in the year was a success as well and a total of 56,930 bicycles were sold. The grand total of bicycles sold with the governmental incentives was 103,500 units in 2009. Not only bicycles were sold but customers also bought other cycling products, such as gloves, glasses, shoes, spare parts, etc. 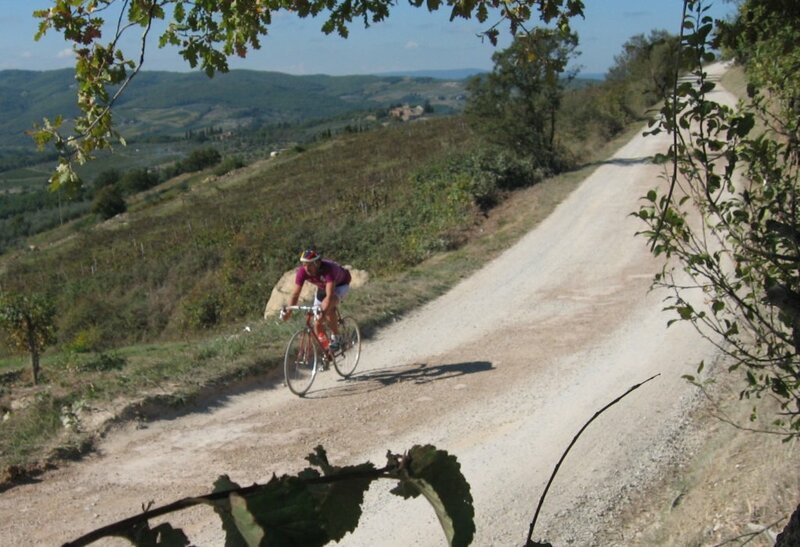 Even more important for the future – the fact Italians discovered ‘normal’ cycling again. Without any doubt the governmental incentives gave a great push to the bicycle market in Italy in 2009. Not only did it save the bicycle industry during the economic crisis, it brought end-users back to the bicycle shops as consumers re-discovered the enjoyment of cycling. One clear indication of bicycle quality increasing in Italy is the fact the average price of imported bicycles were 13% higher at € 126.08 in 2009 (from € 111.54 in 2008). As an IBD says, “The clients seem to be looking for a better city or sport bike”. The logic indicates that thanks to the incentives end-users did not mind riding a better bike. With the help of the government incentives 2009 turned out to be a revival year for the bicycle industry. 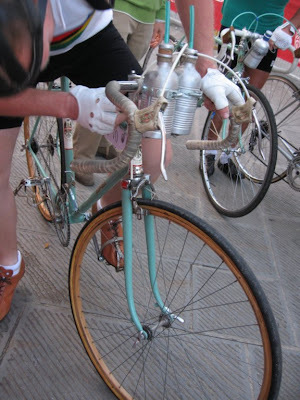 According to ANCMA statistics Italian bicycle production went up 8.6% from 2.38 million, to 2.585 million bikes. Bicycle exports didn’t see a similar increase. On the contrary, a total of only 1,284,798 bicycles passed beyond Italian borders; compared to the 2008 total of 1,553,409 units, a huge decrease of 17.3%, most probably due to the economic downturn in the world economy. The average value of exported Italian bicycles went up by 14.7% to € 92.58 (2008: € 80.71). A positive for the Italian industry is the decrease of bicycles imported by 10.9%, to 627,398 units (2008: 704,280). The average value of the imported bicycles into Italy increased by 13% to € 126.08 (2008: € 111.54). Based on ANCMA data, deliveries of complete bikes to the various distribution channels reached 1,927,600 units in 2009, a significant 7.1% increase on the 2008 total of 1,800,000 bicycles. Based on ANCMA statistics the Italian bicycle market changed a lot in 2009. Mountain bikes which continue to be used for leisure had a market share of about 35% (up from 33% in 2008). But the market also saw a major shift to City and Sport bikes, which rose to 35% of market share, from only 18% in 2008. It is a clear indicator as to which side of the market the governmental incentives went. At the same time the share of childrens’ bikes decrease to 25% (from 45%). 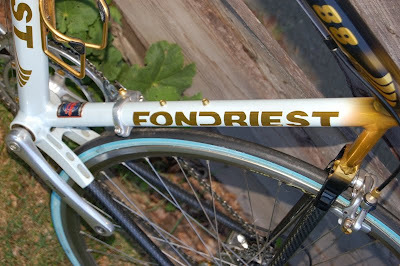 Road racing bikes, the fame of the Italian industry, had a market share of 5%, an increase from 4% in 2008. The e-Bike became important in Italy in 2009. Although there are not particular statistics about e-Bike sales yet, Pietro Nigrelli of ANCMA estimates some 40,000 were sold in 2009 (from 10,000 in 2008). This increase is most probably thanks to the help from the incentive program. Normally only around 20,000 units would have been sold in 2009. 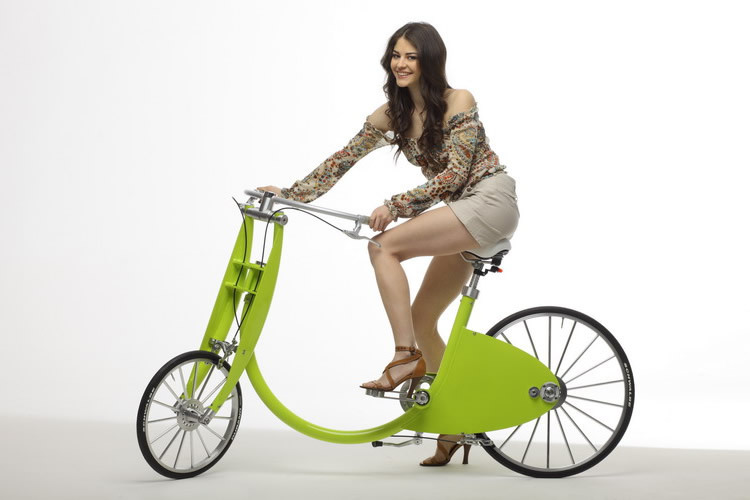 Consumers are starting to get accustomed to power-assisted bicycles. The acceptance of e-Bikes is growing in Italy, but it is still far from the status they enjoy in the northern European countries. Even if end-user prices did not reach the level of similar products in Holland, clients are willing to pay around € 1,200 for a high-quality e-Bike. 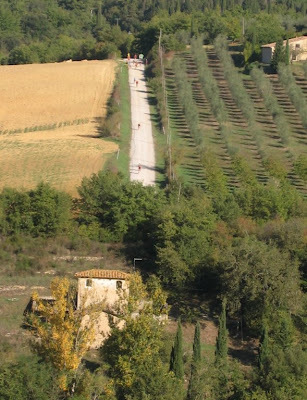 The possible surging of this segment in Italy could lead to an increase in bicycle imports. The local production cost is too high to compete against low-cost Chinese-made e-Bikes. At this point the question of anti-dumping measures may have to be seriously considered to protect the Italian and European e-Bike production. For more on this see the interview on page 7 of this issue. 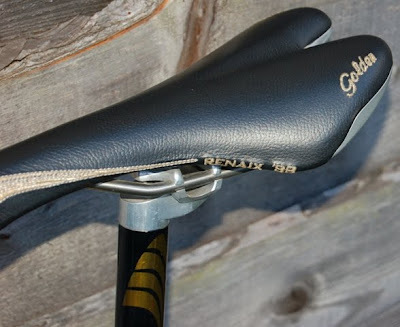 Italy, with various saddle makers like Selle Royal, Selle Italia, Selle San Marcos etc. and component makers like Campagnolo and Miche, is one of the few European countries with an extensive bicycle component industry. In 2009 the export of parts and components continued decreasing from the low figures registered in 2008. The Italian ISTAT Statistics Bureau shows the export value of Italian-made components declined by 9.5% from € 385.08 million to € 348.47 million in the year 2009. It also meant a lost of 7.2% in the quantities exported. In any case the change in the industry has been very profound over the past few years, but in 2009 it can be argued that the world financial crisis was part of the decline. The manufacturing of large amounts of different components has been reduced to the very healthy and high-value product categories – saddles, wheels, Campagnolo products, and the famous Italian road-racing frames. Other components are more or less succumbing to competition from Asia. The Italian saddle makers’ sales declined a bit and recorded an overall 6.9% export decrease in 2009 to € 71.74 million from € 77.06 million in 2008, which also meant a huge 17.9% decrease in quantity. The anti-dumping duties on saddles did not stop the concentration of Italian saddles into the high value segment. This trend should continue in the next future. Export of high value products like wheels is most probably increasing. Unfortunately it is difficult to evaluate these items because the statistics do not sort out these products in a specific group. The large increase in export of chainwheel sets and its components continues as well. The statistics show this segments increasing by 9.2% and 43.7%, to € 22.9 and € 5.3 million in 2009. The export of gears for group sets was stable in value at € 16.6 million but it shows an enormous decline of 39.1% in units. These figures show a trend towards much higher-priced products in 2009. The well known Italian frames export decreased by 12.1% to € 22.6 million from € 25.71 million, a clear sign of the economy problems worldwide in 2009. The strong (and unusual) increase in the home consumption of bicycles of 7.1% in 2009 is a big success for the Italian industry association ANCMA. This result is even more important if compared with the decrease of the bicycle market in the other European countries in 2009. The Italian market was down by the end of 2008 and the year started with a very uncertain economy situation, reaching its worst by March. Fortunately the long time efforts of ANCMA came to a happy end in April 2009, when the government began the incentive scheme for bicycles. “We were very lucky to get the incentive scheme running just at the right time, otherwise it could have been very bad for some well-known companies in Italy,” reported Pietro Nigrelli ANCMA´s official responsible for the bicycle sector. “We were completely surprised by the positive effect the incentive scheme had on the consumers,” concluded Nigrelli. The year 2010 will be surely a less positive one for the bicycle industry, but the impetus given in 2009 may have changed the attitude of many consumers in Italy. It is easy to see more cyclists on Italian roads these days and that trend may continue in the future. Photo (not published with above article): Shoppy Bike, manufactured in Tuscany by Officine Meccaniche Sereni. The following story appeared in the BBC's News Magazine. The story begins with a photo of the author riding in an unidentified location. But, we know it's the Dolomites. Paul Hart from England writes in with his story about his recent visit to Dario Pegoretti. We previously had published a photo of Paul's beautiful "Responsorium" model Pegoretti here. I recently treated myself to a one of Dario’s masterpieces and, as Catherine and I had a cycling holiday planned to Lake Garda, we thought a visit to the Pegoretti workshop in Caldonazzo would be nice. One problem - couldn’t find an email address for Dario. So I put on my thinking cap and remembered reading a couple of reports about Pegoretti visits by Angelo on his blog. So I got in touch with him, he came up with the goods and our visit was arranged. After five or six days riding up and down big hills we decided it was time for a day off. So with the sat nav programmed we headed north towards Trento, when we eventually arrived at Caldonazzo the sat nav wasn’t so helpful and after several u-turns I decided to switch it off and just keep my eyes peeled. Caldonazzo is small so how difficult could it be to find Dario’s place? Sure enough a couple of minutes later I drove across the level crossing glanced over my left shoulder and there they were - the windows with the swallows. As we peered around the door we were greeted by Daniel and Pietro, then the man himself appeared and ushered us into the kitchen for an espresso and a chat, then it was time for the guided tour of Pegoretti HQ. Daniel tacking a frame prior to welding:. After a look around the paint shop at the works in progress and a few recently finished jobs Catherine asked Dario to measure her for a custom frame. At first he was surprised, I don’t think he realised she was also a bike rider, then he noticed the tell tale tan lines on the legs. With Pietro summoned to assist with ‘misurare’ it was back to the kitchen for the Pegoretti measurement process. Recently, certainly in England, there’s been a growing trend for bike shops to offer a fitting service, this seems to be done by self appointed ‘experts’ who interview you for two hours then measure every bone in your body with laser beams and computers before making you ride to exhaustion on a stationary bike. 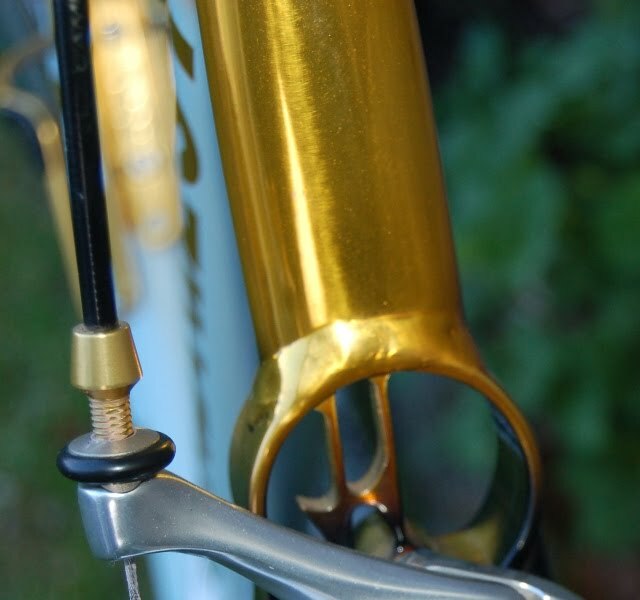 As you can probably guess the Pegoretti method is slightly different. 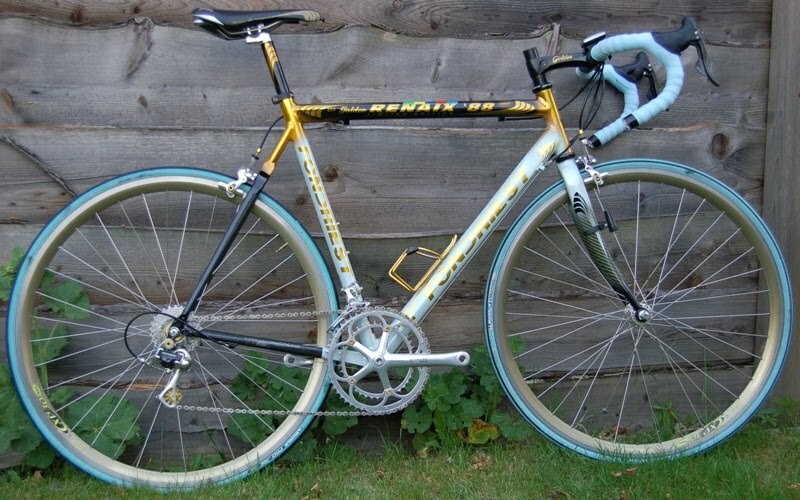 It involves a newspaper, tape measure, ring binder (which is thrust hard up between the legs to simulate being on a saddle) and a pair of frame builders, four or five measurements are taken and that’s it……….then a few months later you get a bike that fit’s perfectly. We’re both really looking forward to seeing the finished frame, I think it’s going to be pretty special. After a few photos with my bike - I think Dario and Daniel liked it and I was surprised at their enthusiasm for bikes despite being around them all day every day - it was time to head back to Lazise and let them get back to work. It was a really enjoyable couple of hours and a highlight of our holiday to meet Dario and the boys. Our next visit to Caldonazzo will be in a few months time to collect Catherine’s finished frame. Team Geox, the new Italian professional team, has now signed Dennis Menchov. 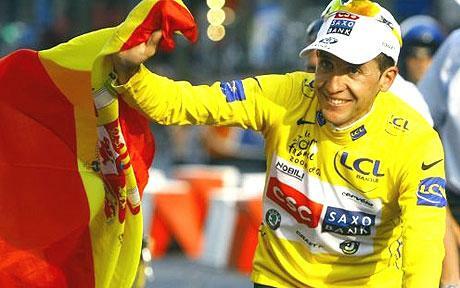 Carlos Sastre, 2008 Tour de France winner, was signed earlier in the week. Team Geox was also hoping to sign Damiano Cunego but he has decided to remain with Lamprese-Farnese Vini (next year Lampre-ISD) for another two years. The 28 year old has been in Saronni's team for 7 seasons obtaining 26 victories, the most important being two Giro di Lombardia, Amstel Gold Race 2008, two stages in Vuelta a España 2009 and the white jersey in Tour de France 2006, in addition to the silver medal in the Varese 2008 World Championship. 2009 Giro d'Italia champion and two-time Vuelta a España winner Denis Menchov signed with Team Geox on August 19th. "We're very happy to see Denis Menchov understood how deep the project we have in mind at Geox is," said General Manager Mauro Gianetti. "He'll be forming a very competitive pair with Sastre for the big stage races. Menchov is a rider who excels in the time trials, and his characteristics will perfectly complement with the pure climbing style of Sastre. The Geox team is getting formed right within our plans, and we will add some interesting riders by the end of the season." Another announcement coming this week was the merger of of Lampre and the Ukrainian cycling group ISD. The joint project, meant to have at least a three year term beginning in 2011, will be known as Lampre-ISD. In 2009 and 2010 ISD (a large big metallurgical company) supported an Ukrainian-Italian Professional Continental team and they have now decided to raise their level of involvement by joining a ProTour team. Photo: Geox shoe. 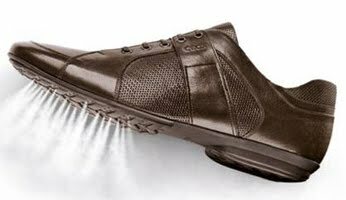 Geox is a well-known Italian footwear and clothing company famous for footwear with waterproof yet breathable soles. After 4 days in Montalcino and an introduction to Italy through the rolling hills of Tuscany our group of 8 riders from Australia headed northeast to Lago Di Garda. Coming from pancake flat Perth (Western Australia) and even flatter Mildura (Victoria) Monte Amiata was a good stretch of the jet lagged legs after the 24 hour flight. But you can always go higher and harder in Italy. Hence, squadra “Velluto Nero”, have traveled to Europe for the last 2 years to conquer the great cols and passes. We were based in Riva (del Garda) for middle 4 days of our Giro and were lucky enough to have arranged to meet up with ex-pro Eros Poli. Okay, to be honest if you are like me and had to google search Eros Poli, take the time it is well worth it. Eros and his wife Michelle joined us at our hotel the night before for an aperitif and to talk us through the plan for the next two days. Day 1 we rode what Eros called the “3 Lakes”. It was a solid 140km in total with about 2100m of climbing. The highlight of the day was the picnic supplied by Eros and his mate Robert, more to the point the esky (cooler box) of ice cold Suisse beer. It was a great day of riding and many of our group returned home saying it was the highlight of the trip. Having the chance to ride shoulder to shoulder with Eros and talk about his 10 year career in the peloton was a real buzz. The majority of the group had tackled Mont Ventoux last year but unlike Eros none of us stood on the podium as a TDF stage winner. Day 2 was the climb of Monte Baldo. We opted for the longer harder climb, 31km 7-9% max 20%, and all for the day were planning about 90km however somewhere along the way we (the Australians not Eros) may have taken a wrong turn and ended up with 11okm on the clock. A sensational climb and once again a great day out with Eros. I would highly recommend engaging Eros if you are ever going or considering cycling in Italy. Our time in Riva with Eros was another stepping stone in our preparation for last leg of our Giro in Cortina d'Ampezzo. We did our best to climb as many of the passo’s we could – Campolongo, Falzarego, Giau, Tre Croci, Sella, Pordoi and Valparola but thought we had better leave some for next time. And then there was Zoncolan......which really is a story in itself. Words can’t describe the climb but the war stories once at the top you share with your mates is what cycling is all about. Go and do it for yourself and you will see. I must say a sincere thank you to Eros and Robert, and Angelo senza la o (from ICJ). Who Wins the Polka Dot Jersey? 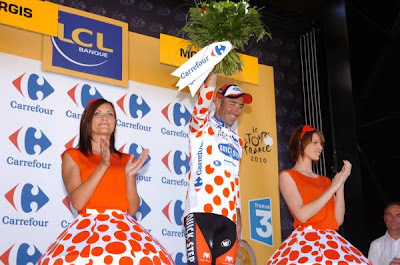 The Polka Dot Jersey and the King of the Mountain title is one of the highlights of the Tour de France. 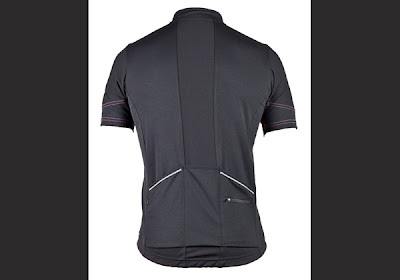 Below, I reflect on those that win this cheery jersey, how I scored one myself and who else deserves one too! While riding the Tour de France routes with Eros Poli (we finished our trip in Italy with the Granfondo Pinarello) we rode our bikes to the elegant town of Morzine and later were able to see the finish in the mountain town of Avoriaz. All day long I had been admiring my favorite jersey – the stunning Polka Dot Jersey. I love the jersey for several reasons: 1. I love wearing polka dots and I use them often in my work as an artist, 2. I love climbing mountains on bike and foot. 3. I am in awe of the riders who have the strength, the concentration, the grace of a dancer, and the determination to win the epic climbs of the Tour de France. 4. The King of the Mountain title is an inspiring metaphor reminding me of the daily heroes of my life – those people who help us to dream bigger, try harder, and know that we can make a difference in the world. Throughout the day, I scanned the kiosks to find the sacred polka dot jersey for a reasonable price. The price was usually 65 Euros, way too pricey for my budget. So, I assumed I would have to wait and be content with photos of the jersey. At the end of the race, the ever well connected Eros scored a ride down the mountain back to Morzine in a Carrefour team car, driven by the Marketing Director of Carrefour. I was amazed – here we were in the car of the SPONSOR of the Polka Dot Jersey. We asked lots of questions about the sponsors, how it works and about the Polka Dot Jersey too. Our mouths dropped open, again, we were so grateful and amazed. It was another miracle on Eros Poli’s tour! We, the lucky ones, also had the chance to win the Polka Dot Jersey. I came closer to the Polka Dot Jersey than I ever thought possible. 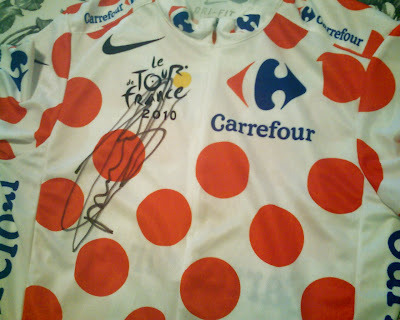 I had the chance to see Jerome Pineau, receive a Polka Dot Jersey from Carrefour, and bring home one that was signed! I started thinking about the inspiring title and who in my life should be awarded the King of the Mountain title and the gorgeous jersey. In my life, I would love to give the Polka Dot jersey to my amazing grandparents whose strength and ability to dream big and dance with life always inspires me. 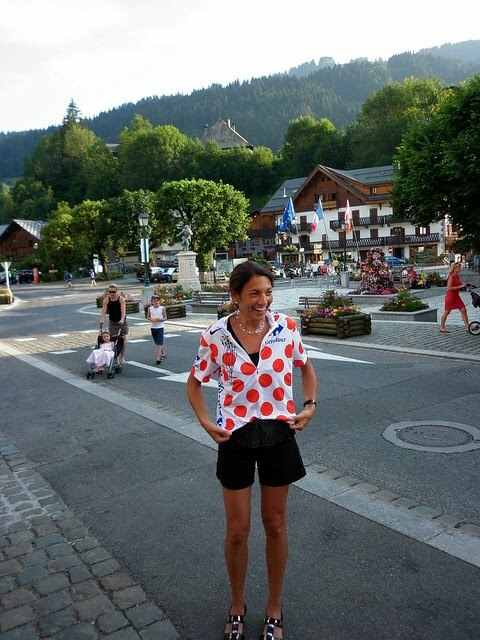 My family, whose support and encouragement (and sometimes honest and direct observations) deserves the Polka Dot Jersey for all of the energy they offer. My students at the elementary school and high school, who achieve more than they think possible and are more resilient than they think, deserve the title and the jersey so they are affirmed in the beautiful potential of their future. My friends, loved ones, and those I’ve never met who have fought cancer, fought wars, risen above debilitating circumstances, and stood up for the sanctity of humanity, deserve the title and the powerful jersey too. Wouldn’t it be something if the King of the Mountain title and the Polka Dot Jersey were given out beyond the sidelines of the Tour de France? If so, who do you think, wins the Polka Dot Jersey? A sponsorship agreement has been signed between Geox president Mario Moretti Polegato and Footon-Servetto general manager Mauro Gianetti. The Italian shoe manufacturer will take over as primary sponsor of Gianetti’s squad, while Fuji will continue as bike supplier. The existing structure and team headquarters in Spain will be maintained but the squad will race under an Italian license in 2011. Former Saeco and Barloworld manager Claudio Corti will be team manager, joining sporting directors Stefano Zanini, Daniele Nardello and Joxean Fernández Matxin. Former Tour de France champion Carlos Sastre, who won in 2008, was signed today. Damiano Cunego is rumored to be on the team’s wish list, but Sastre is the first signing for the 2011 season. La Gazzetta reports that Damiano Cunego (Lampre-Farnese Vini) is Geox’s primary transfer target. As Footon-Servetto currently lie outside the top 17 teams in the UCI rankings and are thus not guaranteed a place in next year’s grand tours, Geox is keen to sign one of the stars of the Italian peloton in order to ensure its presence at the Giro d’Italia. Cunego is thought to fit the bill as he comes from the same Veneto region as the company (headquartered in Treviso) and he used to have a personal deal with Diadora sports equipment, which is now owned by Geox. 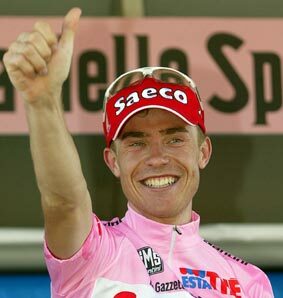 The presence of his former manager Claudio Corti would be another motivation for Cunego to join the team. Perhaps also coming into play is the fact that Lampre-Farnese Vini has already signed Michele Scarponi to lead its Giro d’Italia challenge next season. Geox will also sponsor a women’s team in 2011, based on the existing Safi-Pasta Zara structure. 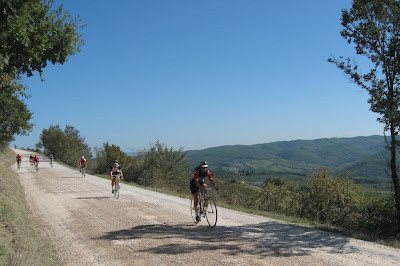 The deadline for registration for the 2010 L'Eroica is 6 September. Four routes of 38, 75, 135, and 205 km are available. L'Eroica is held on 3 October and a large vintage swap meet is held the day before . 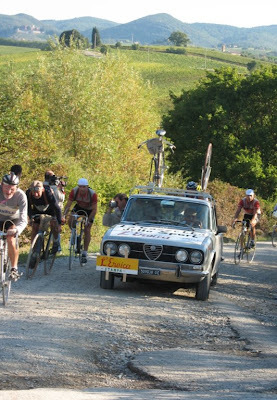 L'Eroica an event that relives the heroic age of the "Giants of the Road". Participants ride on vintage racing bicycles and wearing the wool jerseys of bygone eras through some of the most beautiful roads of Chianti, Valdarbia and Valdorcia, with many sections of unpaved surfaces ("strade bianche", gravel & shale roads) which makes it possible to relive the atmosphere of "heroic" times of cycling. Over the last few years the organizers permitted all types of bicycles and particpation grew to 3,000 cyclists. 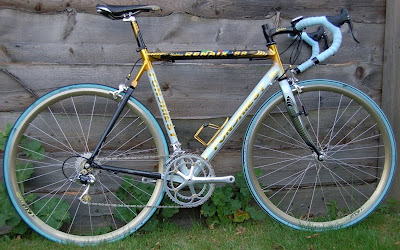 The organizers decided, in 2009, to re-impose rules permitting only vintage bikes All riders must now start only with historical bikes; this "means road race bikes built before 1987, with switch lever on the oblique loom tube, toe clips and belts, external brake wires." Photos (above) by: Dale Brown of "cycles de ORO", Greensboro, North Carolina. 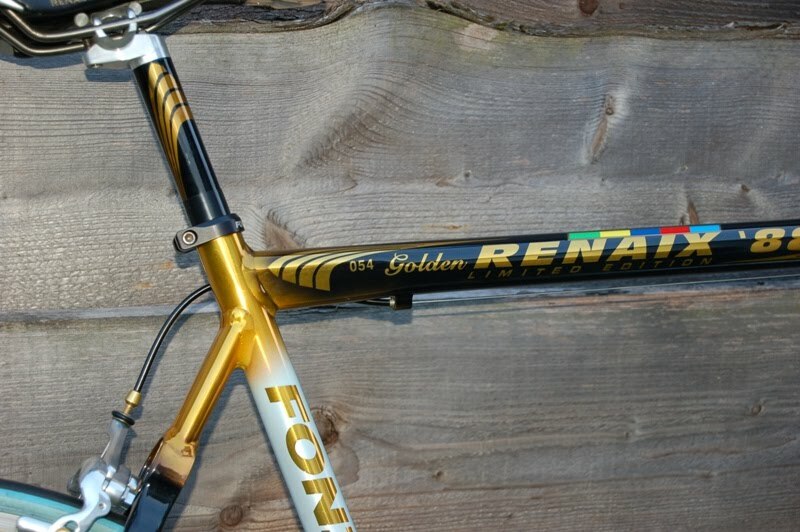 In 1988 Maurizio Fondriest won the World Championship in Renaix, Belgium, after Steve Bauer and Claudy Criquelion had a 'little' incident. To celebrate his victory Maurizio made a limted edition bike in 1998. What's different is of course the paint scheme, but more importantly the monostay. The monostay is Maurizio's crest, and for this bike only his crest was carved out of one solid block of aluminium and used as a monostay. The commemorative jersey is part of the sale, as is the Elite golden Fondriest bottle cage. Price asked is $2,500 plus shipping. If interested send an email to my address below and I'll have the seller get in touch with you. My New Bike: Max Lelli "Team"